On the 11th of February 2009 Moun, a good friend and I was travel by car to the Nam Tok Phlio National Park. This National Park is in the Chanthaburi province of Thailand. The Phlio Waterfall is about 15 km out of town. If you travel with public transport it´s easy to take a sawngthaew (share taxi) from the market in Chanthaburi. The turn will take you about 30 minutes. The National Park fee was 200 Thai Baht for falangs and 40 Baht for locals. 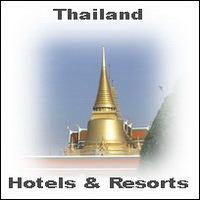 For the up to date price take a look inside the Lonely Planet Thailand. 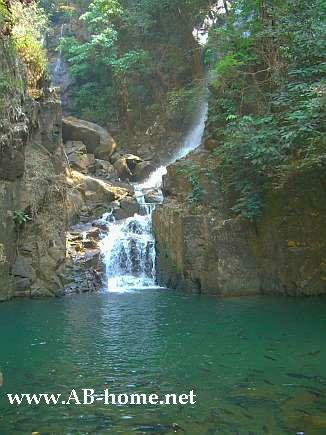 The Nam Tok Phlio is the most visited Waterfall in this Park. The Fall is beautiful but actual the carps are the attraction. Many huge black carps are in the natural pool on the foot from the fall. You can buy vegetables to feed this nice fishes. Swimming is allowed in the fresh, 10 meter deep water. From the parking place it´s about 400 meter walk on a good walking way to the waterfall. The Nam Tok Phlio Waterfall is one of the beauties i ever saw in Thailand. I can recommend this day trip to all travelers, tourists and backpacker who are in Thailands Canthaburi province in southeast Asia.